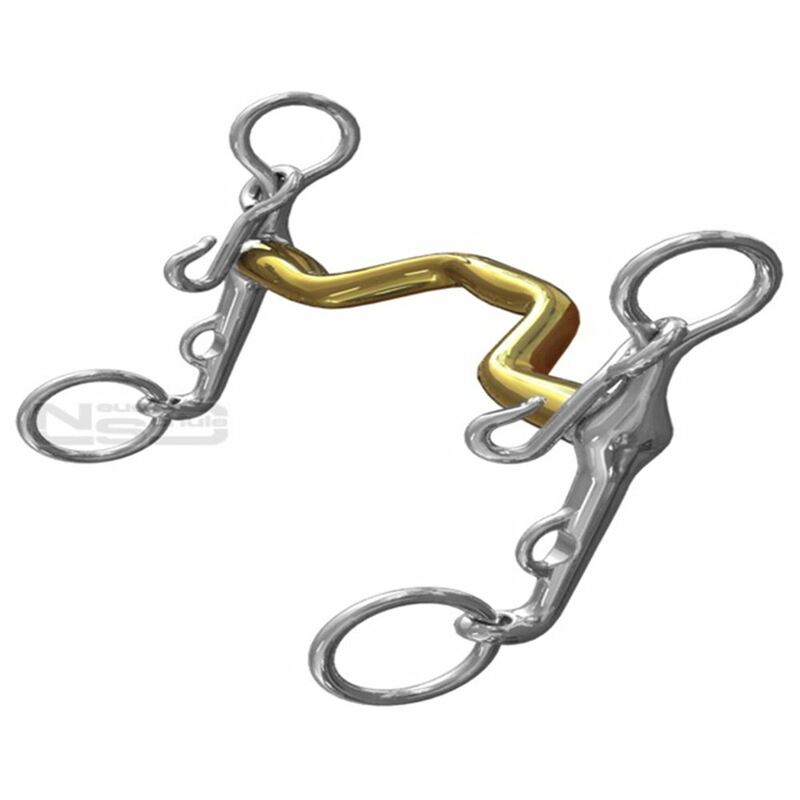 Please Choose Size 5" 5 ¼" 5 ½" 5 ¾" 6"
The Neue Schule Warmblood Weymouth helps to prevent tongue evasions, plus it also has an innovative lightweight, elegant cheek design. The forward cut port of the NS Warmblood weymouth is very cleverly designed giving generous tongue relief without causing upper palate interference. It is extremely popular with the large tongued KWPN, Hanoverians etc. This design has often proven the solution to many long term tongue evasions. The 14mm normally offers extra lift from the shoulder and takes up less room in the mouth than thicker mouthpieces.